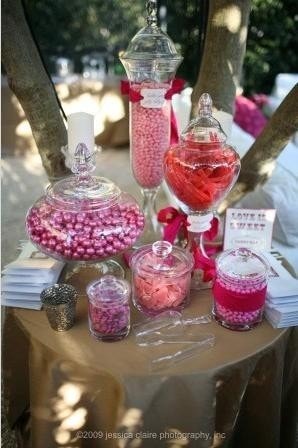 We used the ribbon to accent the candy dishes and the table at our wedding, it was so rich and luxurious we've saved it for other decorations. I used this ribbon for tying around my wedding invitations and favor boxes. I first fell in love with this ribbon in a stationary store, but decided to buy it online in hopes of finding a better price. The ribbon is beautiful and has a very rich, organic look. Midori is often considered "the best quality" ribbon by many wedding experts. I've already received many compliments on it, including from my wedding coordinator who wanted the information so that she can use the ribbon for future weddings she plans. Overall I am very happy with the ribbon and would recommend it to anyone looking for an elegant alternative to the standard satin ribbon, but there are a few things to be aware of. Because the ribbon is hand-dyed and "raw" it is very delicate. When tying a bow or knot repeatedly it can begin to fray and crumple, so you have to be very careful when tying it. Also, beware that there are seams in the spool where strips of the ribbon were stitched together, so be sure to account for this when calculating how much ribbon you will need. This is a special order item and is not eligible for returns. Ribbon samples available upon request. Please contact customer service by phone 877-988-2328 or email info@beau-coup.com. Dupioni silk is couture fabric. Also known as raw silk or wild silk, dupioni has the makings of a rock star in the ribbon world. With vivid colors and unfinished edges, this ribbon is the perfect trim for fashionistas. Embellish gowns, accent wedding invitations or wrap gifts. 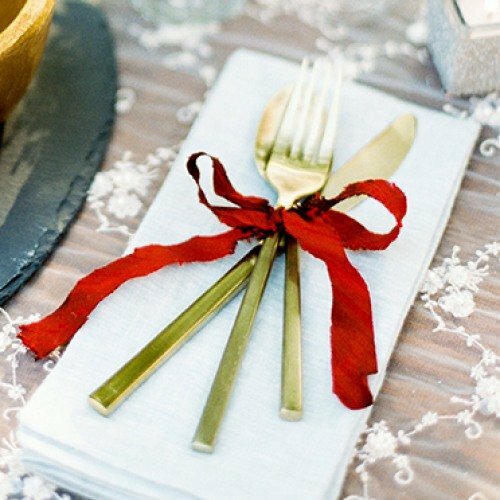 At once chic and rustic, this versatile ribbon is perfect for any stage. Dupioni silk is a rich fabric with lots of texture. Its knots or "nubs" are randomly dispersed and seams are visible throughout the ribbon. The fabric is rough cut on a bias to create its edgy look. Available in 2 widths and 25 delectable colors. Each roll consists of 40 yards (36m) of gorgeous ribbon. For a more refined ribbon, check out Midori double faced satin ribbon.